Vaibhav Vernekar a fitness and cycling freak from Belagavi who is into his family Gold business, will join 14 others passionate cyclists from June 21 in Bhutan for the Yatra.com Times Passion Trails a Times of India Initiative. The Times Passion Trails will take 15 passion seekers on a journey that is meant for those who believe in themselves and would take that extra step forward to achieve the ultimate cycling goal. Together, they all will pedal towards the Kingdom of Bhutan. With the Experience Architect and cycling enthusiast Rajesh Kalra, Vaibhav will take on an 8-day journey to explore new heights and horizons on his favourite bicycle in Bhutan. Vaibhav would cover Paro, Haa Valley, Thimpu and end the journey at Punakha & Wangdue. Speaking to AAB, Vaibhav said it was his dream to be a part of such a cycle trail and this experience will help him make him more courageous. Last year he did the Ladakh ride on Bullet without a backup and now cycling in Bhutan. 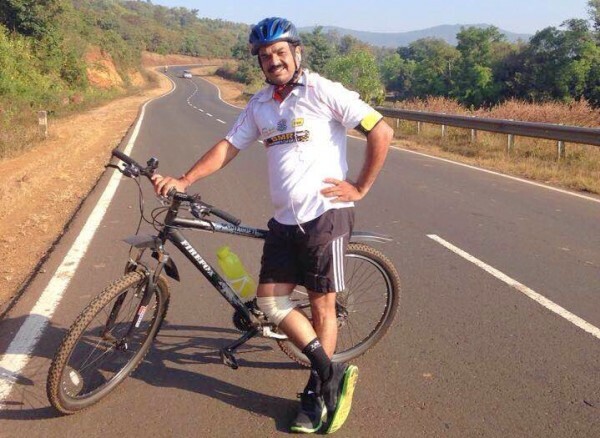 He has also done a solo cycle ride to Goa in January 2015. He is very passionate about cycling and fitness. Vaibhav was selected from 1200 contestants for the Cycling passion trail organised by Times group. We wish Vaibhav a great time in Bhutan and a safe ride.